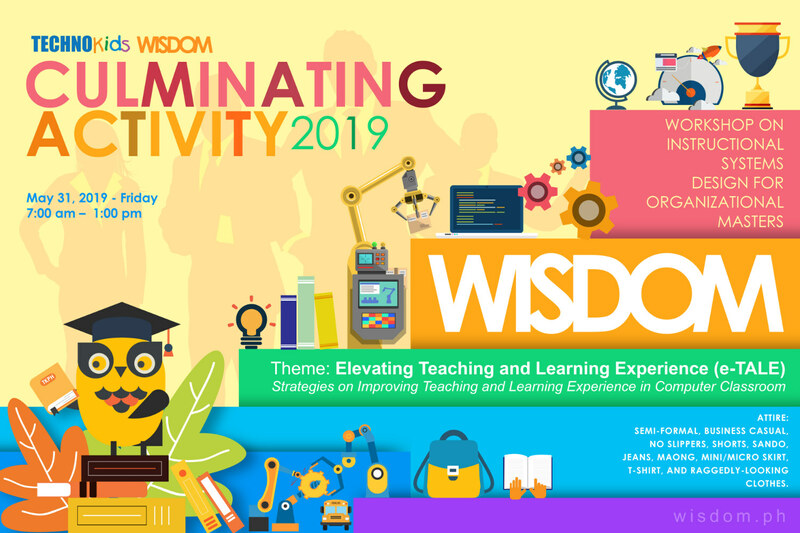 WISDOM stands for Workshop on Instructional Systems Design for Organizational Masters. It is TechnoKids annual summer workshop for Masters which aims to develop and update their knowledge and skills in using the latest innovations in Information Technology and Education. All computer teachers who are part of the TechnoKids family are invited to meet and convene in this event.